You've decided to take a vacation, you've come to terms with the expense, and now you're finally, actually "on vacation." And you're not feeling it. Maybe it's to living up to your expectations, maybe you realize you don't actually like doing what you so meticulously planned, maybe something just feels off. 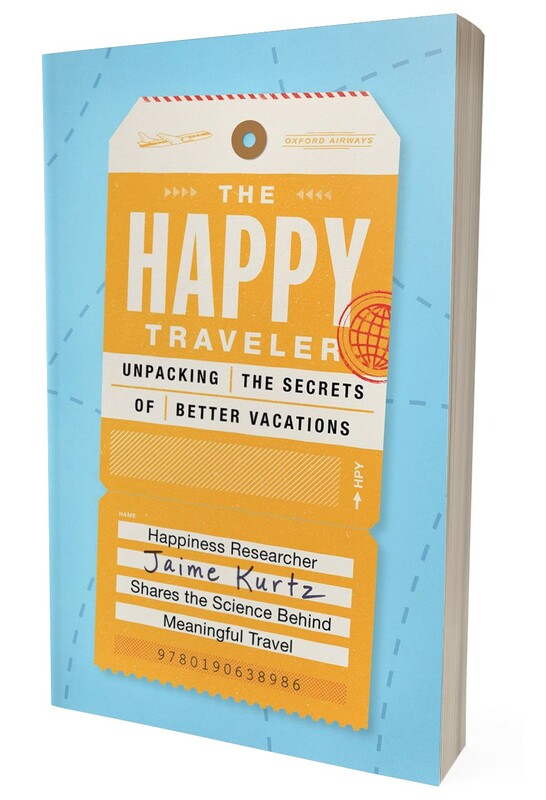 In her book, The Happy Traveler: Unpacking the Secrets of Better Vacations, author Jaime Kurtz relates a tale of a much-anticipated, yet strangely unsatisfying excursion, and finds she is not alone in the experience. "Nearly everyone I know — from other happiness researchers to the most wanderlust-stricken of my friends —seemed unsure about how to travel happily. And it didn't matter whether they'd spent thousands of dollars on a luxury experience halfway around the world or road-tripped to a bed and breakfast for the weekend. Money was no indicator that a trip would be fulfilling. Neither was distance, or duration, or even location." The good news is that feelings of vacation inadequacy and dissatisfaction are common and, even better, there are ways to plan a vacation that is indeed satisfying and renewing. From deciding how best to allocate travel dollars to choosing where to go and travel companions, Kurtz uses quizzes and cites considerable research to reveal that no matter whether our dream travels include foreign sights or calming familiar locales, "You always pack yourself — your personality, anxieties and habits — with you on your trip." Acknowledge that and you are already on the way to planning a vacation that will live up to your expectations.